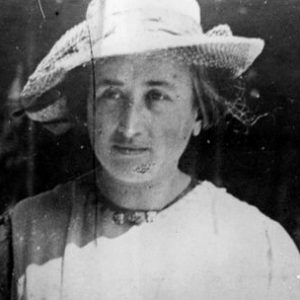 The excerpt is taken from Chapter III, “A Criticism of Smith’s Analysis,” in Rosa Luxemburg’s 1913 work, The Accumulation of Capital (New York: Monthly Review Press, 1951), 67–69. Luxemburg explains that lacking a clear conception of the twofold distinction of the commodity, between use value and exchange value, classical political economy also necessarily lacked the distinction between concrete and abstract labor. There was a tendency therefore to perceive labor’s capacity to create value in a metaphysical way, as an inherent physiological quality innate to human beings. This induced Adam Smith to contend at one point in The Wealth of Nations that animal labor too created value—or at least enhanced the rent of the landlord—through a process of physiological exertion and the creation of a surplus beyond its reproductive needs. This view was later rejected by David Ricardo. Luxemburg indicated that Smith’s failure to understand the social character of value and his reversion to a physiological conception represented an outlook that had also plagued some of Marx’s early crude popularizers. Today this discussion takes on added significance in light of the attempts by some on the left to postulate a physiological (or energetic) theory of value—as discussed by John Bellamy Foster and Paul Burkett in “Value Isn’t Everything” in this issue. [Adam] Smith…did not differentiate the twofold character of value-creating labour…. Failure to differentiate between the two aspects of commodity-producing labour as concrete and useful labour on the one hand, and abstract and socially necessary labour on the other, indeed forms one of the most important characteristics of the theory of value as conceived not only by Smith but by all members of the classical school. Disregarding all social consequences, classical economics recognized that human labour alone is the factor which creates value, and it worked out this theory to that degree of clarity which we meet in [David] Ricardo’s formulation. There is a fundamental distinction, however, between Marx’s theory of value and Ricardo’s, a distinction that has been misunderstood not only by bourgeois economists but also in most cases by the popularizers of Marx’s doctrine: Ricardo, conceiving as he did, of bourgeois economy in terms of natural law, believed also that the creation of value, too, is a natural property of human labour, of the specific and concrete labour of the individual human being. This view is even more blatantly revealed in the writings of Adam Smith who for instance declares what he calls the “propensity to exchange” to be a quality peculiar to human nature, having looked for it in vain in animals, particularly in dogs. And although he doubted the existence of the propensity to exchange in animals, Smith [inconsistently] attributed to animal as well as human labour the faculty of creating value, especially when he occasionally relapses into the Physiocratic doctrine. This entry was posted on Thursday, December 20th, 2018 at 00:05	and is filed under Uncategorized. You can follow any responses to this entry through the RSS 2.0 feed. Both comments and pings are currently closed.